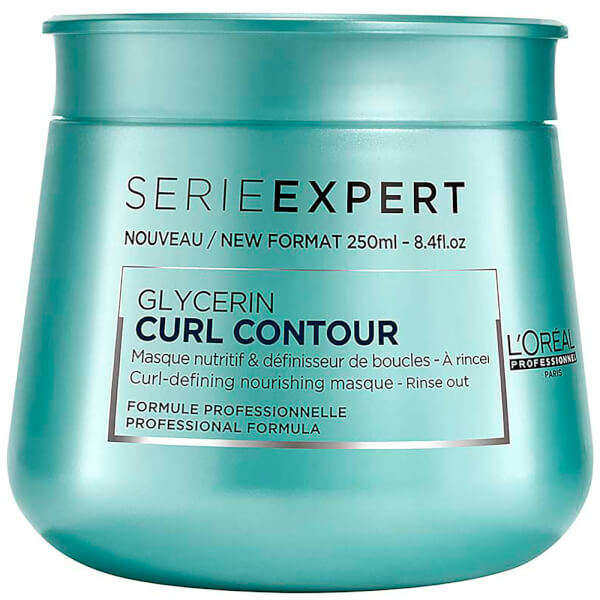 Nourish and enhance curly hair with the Curl Contour Masque from L’Oréal Professionnel Serie Expert. Infused with Glycerin for its hydrating properties, the gel hair mask restores moisture to curls, resulting in a softer, smoother hair surface and a more defined shape. Locks are left visibly boosted with a healthy shine. Apply evenly to shampoo and towel-dried hair. Leave for 3-5 minutes. Rinse thoroughly. In case of contact with eyes, rinse them immediately.